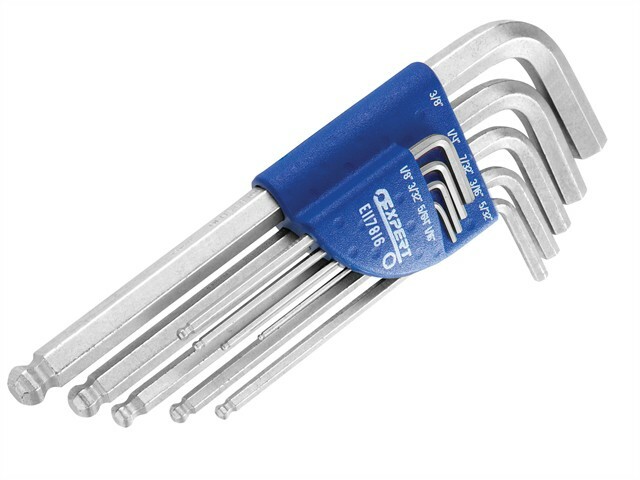 The Expert By Facom E117816 Hexagon Key Set contains a selection of long arm, ball end hex keys made from durable, zinc-plated chrome steel. Supplied in a folding storage case for easy transportation. Contains the following sizes : 3/32, 1/8, 5/32, 3/16, 7/32, 1/4, 5/16 & 3/8in.